First off today, I'd like to announce the winner of my Blogiversary Giveaway! Kathleen McCormick won a copy of 75 Fun Fat Quarter Quilts book along with copies of my 4 paper patterns. Thanks again to all who entered and shared their thoughts and ideas for what you would like to see on the blog. I really do appreciate your input :) And now, I'll share a recent quilt finish that you may have already seen if you follow me on Instagram. The pattern I used is called Jelly Roll Slice by the Fat Quarter Shop. You can find the FREE pattern here and a video tutorial here. The pattern includes fabric requirements for four sizes (crib, lap, twin and queen). I made the lap size which finishes at 56" x 64". The jelly roll I used is Moda's Social Club by Cosmo Cricket. I really love the colors in this line. The quilt was a lot of fun to put together and it went quickly. For the quilting I did a figure eight type loop design. I could tell I hadn't used the longarm in a while because my loops aren't very consistent...but overall I think it works for a great texture. 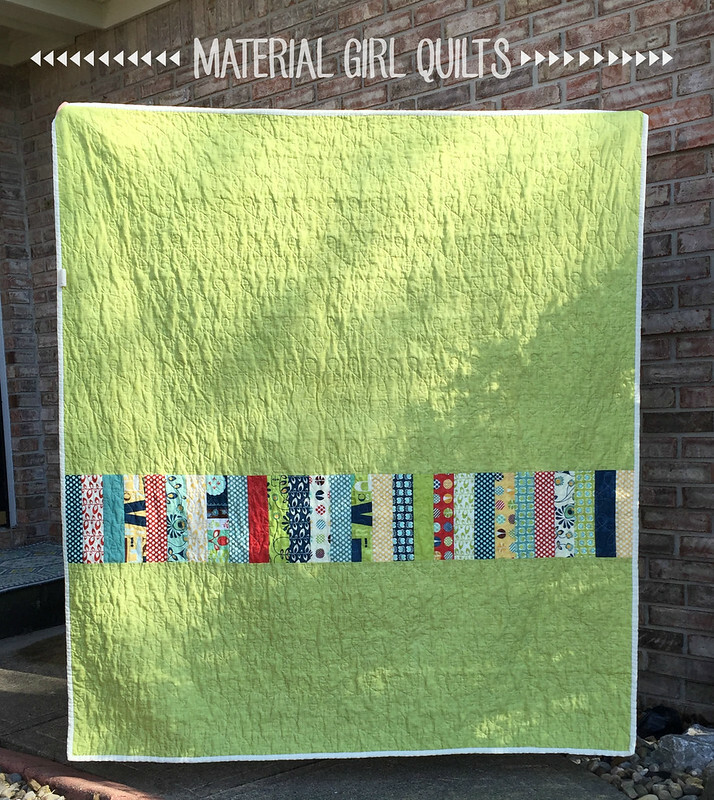 And the best part about making this quilt was that I had a number of strip sections left over after piecing the top that I used on the back! I just love a pieced back. 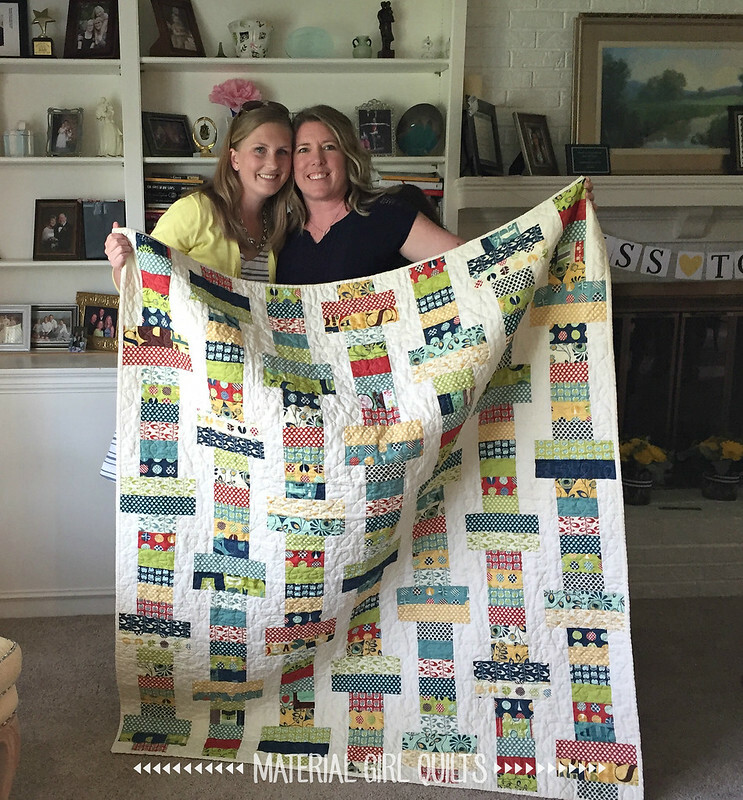 And here it is on what I like to call "quilt delivery day" when I gave it to my beautiful cousin at her bridal shower. I highly recommend this pattern for all of those jelly rolls sitting on your shelf. 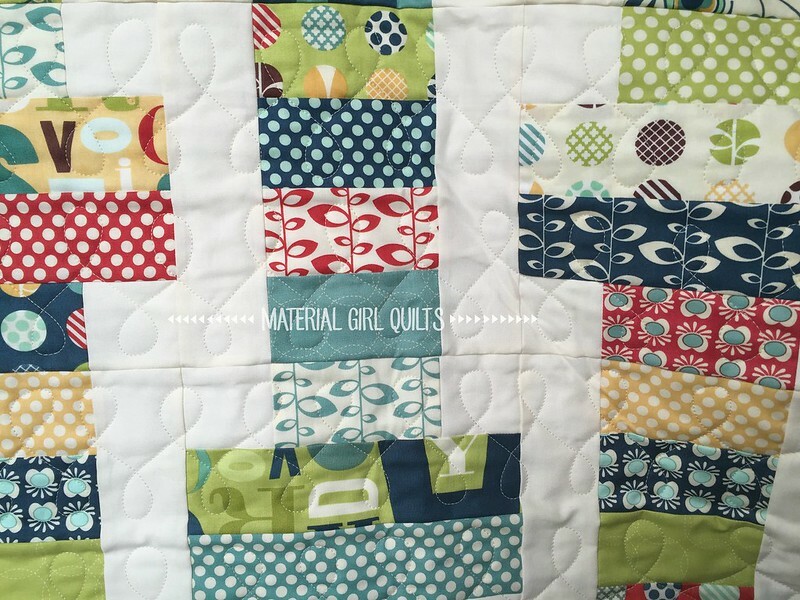 I for one know the struggle to find cute patterns for jelly rolls and this one is a winner!